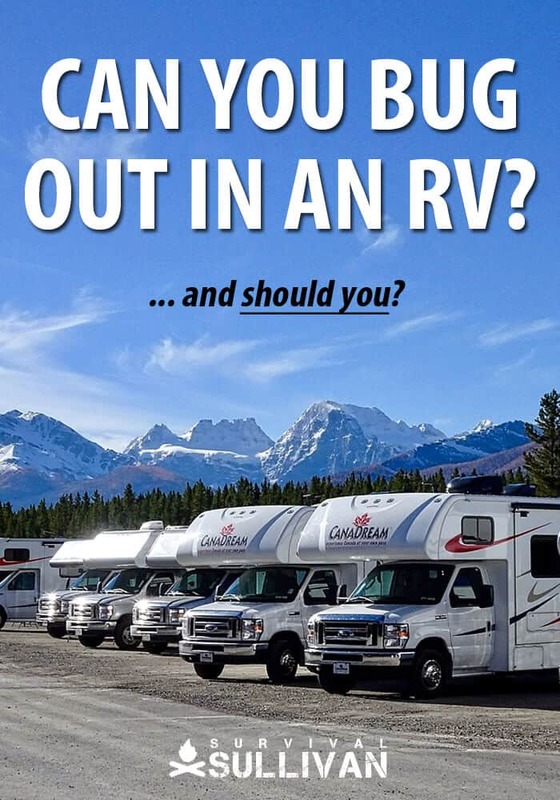 Can You Bug Out in an RV? When it comes to preparing to bug out, one of the most important considerations is your actual transportation. Unless you and all of your family members are in extremely good physical condition and are used to regularly hiking or walking long distances, your last resort should be bugging out on foot. One of the popular discussions among preppers is about the use of a recreational vehicle (RV) as a bug out vehicle. Some people think this type of vehicle is a no brainer for a bug out trip. Others believe there are elements inherent to most RV’s that make it a bad idea as a bug out vehicle. So, can you bug out in an RV? Certainly, you can. But should you bug out in an RV? Can you do it successfully? And if so, how? So, if you’ve been on the fence as to whether or not that old RV in the driveway or wondered if the new model down at the local RV lot is a good investment for your bug out planning, keep reading. We’ll not only tell you how you CAN bug out in an RV, but we’ll help you determine if it’s a good idea based on your personal circumstances. Of course, at the end of the day, the decision is up to you, but we’ll present the information you need to make that decision more confidently. Before you can confidently decide whether or not you can bug out in an RV you really need to analyze your own personal circumstances. Bugging out should almost always be a last resort because it is inherently more dangerous than staying put in a crisis situation. But your own personal circumstances are very important in determining whether or not bugging out in an RV would even be feasible. What are the roads like? Are only main roads paved? How are the driving conditions on the side roads when weather conditions are less than ideal? Consider weather patterns as well, especially any types of frequent natural disasters that hit the area or extreme weather that happens often. Do you get a lot of snow and ice during the winter? How often do you get strong winds and rain that might blow debris such as branches or loose objects into the roadways? If you’ve planned alternative routes out of the city, do those routes include rocky or dirt roads? What about the potential for using logging roads or power easement trails? Are you driving through or heading to the mountains during your bug out? Also, how are you going to stay hidden as much as possible with your RV? Will you paint it in a darker color? Will you drive mostly at night? All of these questions are important. As you answer them and think of other factors regarding the terrain and climate in your area, the amount of engine power, durability, and road clearance you need from your bug out vehicle will become clearer. When it comes to deciding whether or not you can bug out in an RV, consider the normal traffic patterns in your local area. Is traffic already a tangled mess of stop and go traffic during evening or morning rush hours? Do you avoid being on the roads during holidays because roads are so jammed with travelers? An RV is larger than your average vehicle. It also doesn’t maneuver or change direction quite as easily as a car or truck. If you live in a city where streets are narrow or already jammed with traffic during normal days, an RV probably won’t be the best be during a crisis situation when traffic will be even more congested. Think about all the cities and areas you will need to travel through on the way to your bug out location also. 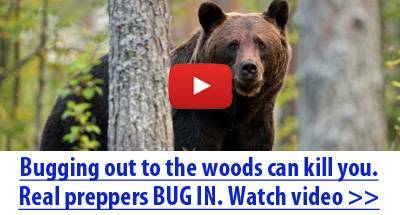 Look in your local area and along all of your potential bug out routes for places that could become jammed up and be difficult to get through in a large RV. Consider points such as bridges, tunnels, intersections, narrow alleyways, dirt roads, etc. and make sure you have a plan for getting through or around these potential pitfalls. Next let’s look at a couple other factors to consider. In trying to determine whether or not you can bug out in an RV, it’s important to think about and analyze your family or group size and dynamics for any potential issues or problems. Taking a large motorhome alone on a bug out trip may not be the wisest thing to do. If something goes wrong, you won’t have anyone else to help you identify and fix issues. An RV can also become a huge target during a crisis situation. 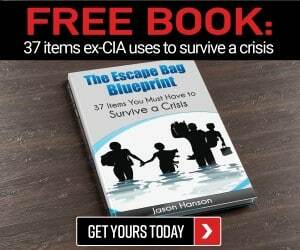 Desperate people may believe that you have supplies they need, and you’d be on your own to fight off the crowds or possibly a gang of looters who might ambush you. But for large families, a bigger RV makes more sense in some cases than using a car for a bug out because family members have space to spread out and be more comfortable during the trip. In addition, when something goes wrong or if you get stuck, your family members can watch your back. If you’re still on the fence about whether you can bug out in an RV, read on. We’re going to talk about the storage capacity of an RV and how that impacts your decision. Finally, we’re going to list the different types of RV’s, give you a link for more details on those, and offer an additional option you’ll want to consider, even if you’re convinced bugging out in an RV isn’t for you. When it comes to bugging out, getting your loved ones to safety is of course most critical. 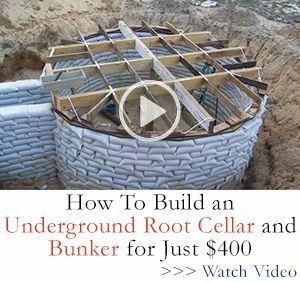 But once you arrive at your bug out location (BOL), you need food and other supplies to survive until things return to normal or heaven forbid, while society rebuilds. Sure, you can stockpile some supplies at your BOL but let’s face it, most of what you need for everyday living will be with you and your family. The great thing about RV’s is the space, right? It’s true that an RV is typically larger than a car, and even larger than many trucks. An RV can offer more storage space so that you can bring more of your supplies with you when you bug out. You can take advantage of bike racks, towing packages, and roof racks to increase the storage capacity of an RV. Using an RV for bug out seems like a no brainer when it comes to storage capacity. But something you may not realize is that RV’s do still have their limits as far as the weight they can carry. Sure, you may be able to stretch the weight limit for a bug out trip but it could also be risky. The age of the vehicle, the length of your bug out trip, how well maintained the RV is, the type of terrain you need to, and even the speed you plan to travel can all impact how risky it will be to push the weight limits of your RV. So, if you’re trying to determine if you can bug out in an RV or not, think about the supplies and equipment you will need to bring with you. When you research RVs to purchase, or if you have one you plan to use, research manufacturer recommended storage capacity. Make sure to consider the weight of extra stockpiles of food, water, first aid supplies, guns and ammo, as well as other supplies and gasoline you’ll need to survive an extended period away from home. One of the biggest factors to analyze and take into consideration when trying to decide if you can bug out in an RV is the distance you need to travel to your bug out location. Gas mileage on RVs are notoriously low, much lower than gas mileage for many cars and trucks. We’re talking around 6-10 miles to the gallon for some RV models. That’s pretty low. Gasoline will be scarce during a crisis or SHTF event. It doesn’t do any good to have a great bug out location and a rock-solid bug out vehicle if you can’t find enough gasoline to get you where you need to go, right? So, before you decide whether you can bug out in an RV, make sure that you can afford, and can store in advance, the amount of gasoline you will need to get to your location. You’ll want to plan for extra gasoline in case you are forced to idle in a traffic jam or are forced to take a longer path due to a detour or blocked roadway. Some RVs can be modified with an additional or expanded fuel tank, something you may want to invest in so that you can more confidently bug out in an RV. Okay, so we’ve analyzed several factors you need to consider so you can determine whether or not you can bug out in an RV. If after analyzing terrain & weather patterns, group size and dynamics, traffic patterns, supplies versus weight capacity, and gas mileage limitations, you’re still considering an RV for your bug out vehicle, let’s have a quick look at types of RVs. If you think an RV might not be the right bug out vehicle for you, keep reading, one of these RV’s might change your mind. There are basically three main types of recreational vehicles (RVs). Within each category of RV, there can be many different makes and models, all which come with their own features. There is one more option that you may want to consider. 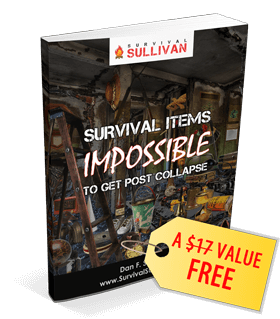 In fact, if you are wavering about whether you can bug out in an RV, this final section may just help convince you it’s possible with proper planning. Expedition vehicles or off-road motorhomes are another option that is out there if you want to bug out in an RV. These vehicles have some special characteristics and modifications that set them apart from other types of recreational vehicles. We’ve included some videos of the expedition vehicles and off-road motorhomes below. If your budget allows for it, these could be one way that you can bug out in an RV. Okay, so many of those are out of reach for the majority of us, but we can dream eh? That Patriot Camper, starting at $125,000 is dreamy and that Rocket Z at $100,00 is something though. Below are some other videos about accessories and modifications to RVs that seem a bit more realistic for most of us. Have you found an RV and modifications that will work for you and your family? Do you have something totally different already set up? Share your thoughts and ideas with us in the comments below. RVs are good choices for possibilities. They provide a much greater protection than tents from weather and critters of all kinds. The RV can haul more fuel in a rack in cans with little issue. If you use the military cans the rack are readily available and can bolt right into the bumper or other areas. The real plus is that none of know what, where or when “IT” will happen and there is a good possibility that you can get somewhere that it is better. New is nice but I’ve got a $1K camper that I pull that does us just fine for weeks while deer hunting and camping. Yeah it’s a bit of a redneck system but I sure sleep good while it’s sleeting outside. Rv is very good idea, but most gas Pickup trucks grt around 7 to 10 mpg. Diesel get 8 to 11 mpg. Motorhomes 6 to 9 mpg. So fuel is large factor. Inn a SHTF situation, I would think most rv folks will be in for a rude surprise when the Gimmedat crowd thinks about food. Or the folks empty of gas on side of the road… The rv will be a highway store for them. Don’t know where you get your fuel consumption figures from but they are wrong. Gas powered pick ups average 16 to 20 mpg and diesel average 18 to 22. I’ve owned both and if your only getting 10 mpg in gas truck then your either towing 20k or something is seriously wrong with it. When you are towing a camper with a pickup, you get the same mileage as a motorhome. This is true for both gas and diesel. Info was from years of rving and years of talking with other rvers. Your numbers are true for non towing, no way you get 16 to 20 towing a rv. Of course you CAN bug out in an RV. Your odds of bugging out SUCCESSFULLY are slim. No matter how good the traffic pattern is around where you are, it will become blocked when people panic. Which many people will, even if there is no need. Most RVs are useless on anything other than smooth, dry, firm surface, and as mentioned, not very maneuverable even on “perfect” surfaces. I’ve seen motorhomes get hung up (stuck) due to a dip in a grocery store parking lot. Any vehicle you use to bug out MUST be able to handle off road. This means that the only RVs which have half a chance of allowing a successful bug out (unless you magically know that bugging out is necessary a “long time” before anyone else does) would be one mounted on an off road pickup or other off road chassis (such as those ones mentioned in the article). The only other option which has any hope of success would be an off road vehicle pulling a trailer which could be dropped when you are forced to leave the roads. Which means that your people and critical supplies have to be in the off road vehicle and the trailer is for conveniance and to carry “extra” stuff.